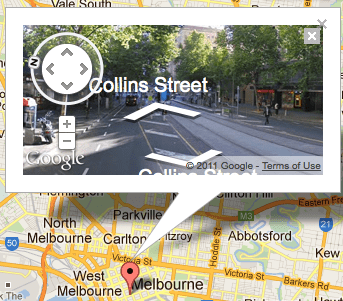 A simple and intuitive, yet elegant and fully documented Google map plugin that installs as a widget and a short code. Packed with useful features (geo mashup, KML support, custom marker icons, …), this plugin is fully free and open source – no need for yearly subscriptions or expensive purchases. 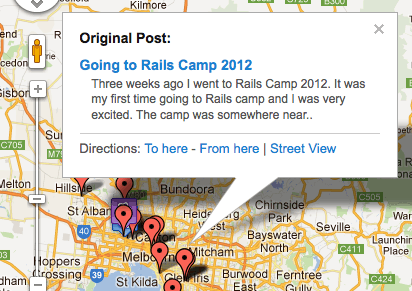 The only Google Map plugin you will ever need for your WordPress blog! With over 250 amazing custom marker icons to choose from! 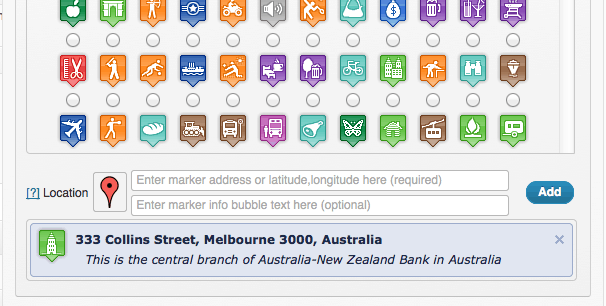 Aggregate all markers from your published content in one map – Marker Geo Mashup! 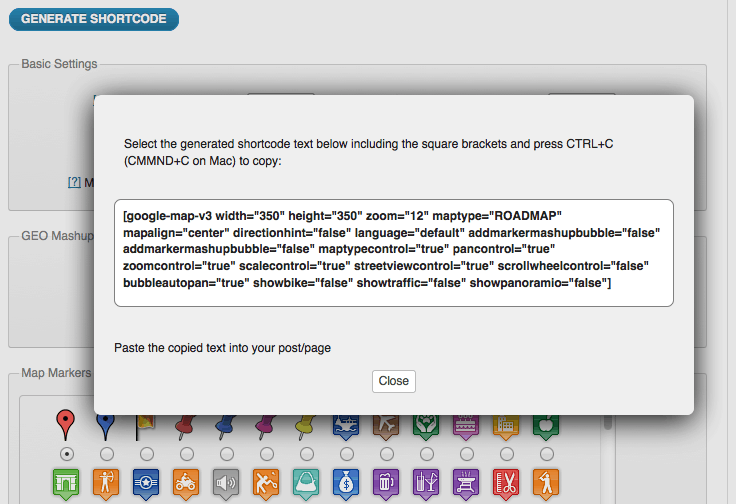 Shortcode builder available, which integrates with post/page editor. Compatible with jQuery tabs! 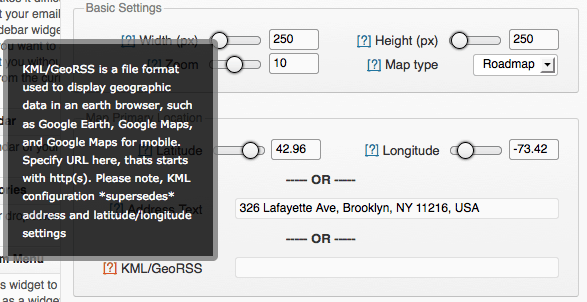 No more poorly rendered map on your site! 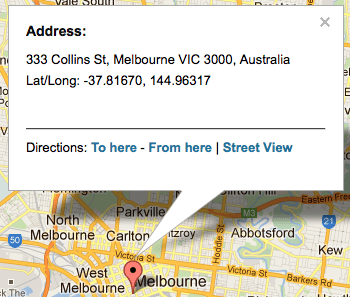 Please go to the WordPress plugin directory: Slick Google Map for downloads. Install this plugin by downloading and unzipping the ZIP archive into your plugins directory (/wp-content/plugins). Alternatively, you can upload the ZIP archive using WordPress upload function. Activate the plugin in order to start using it. 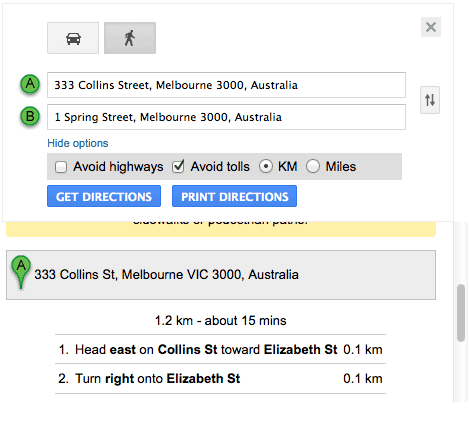 To use the widget, simply drag the ‘Slick Google Map’ widget into a sidebar. Please note, your theme has to be widget-enabled. To change the styles of the contact form, open style.css file in the plugin editor in WordPress. The short code builder can be found under the post/page editor. To access documentation please find “Google Map” link, under the “Settings” in your WordPress admin panel. This WordPress plugin is a fork of the Comprehensive Google Map Plugin by Alexander Zagniotov, which has been deprecated. Much of the documentation by now is taken from the original plugin. Big thanks to the original author Alexander Zagniotov, who released the plugin under the GPL/2 license. He has done a great job. The new plugin is of course under the same license. The WordPress Plugin directory page provides a forum, but development is done on Github, project slick-google-map-plugin. Please use the issue tracker there. The One-Glass-Wine and his very happy owner!